The Parent’s Summit has three distinct guiding goals – that we would equip, encourage and resource parents. Two of those goals – equipping and resourcing, may seem similar on face value. But they are significantly different goals, with significantly different outcomes and audiences. They shouldn’t be confused, and they shouldn’t be neglected. Unfortunately, all too often, churches focus almost exclusively on one (resourcing) over the other (equipping). This is a trap, and in some instances can be more dangerous or detrimental than doing nothing. The process of equipping parents is teaching fathers and mothers how to navigate the choppy and overwhelming waters of parenting. It involves the discipleship and discipline of children. An equipped parent isn’t caught off guard by modern cultural trends or by sudden behavior changes in their children. 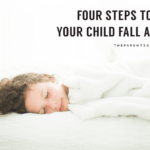 He navigates busy family schedules, maintains a healthy relationship with his kids, and responds actively and well to challenges, opportunities, and changes. She isn’t underprepared or underconfident. In short, an equipped parent isn’t perfect, but an equipped parent keeps the main thing the main thing. In fact, an equipped parent knows the difference between the main thing and a secondary thing! 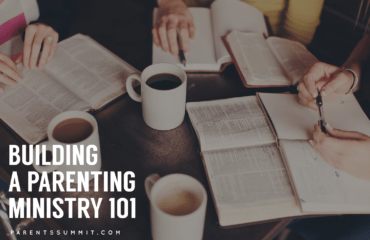 Resourcing parents is about putting tools and opportunities in front of parents that can deepen their walk with God, their family’s walk with God or their children’s discipleship. 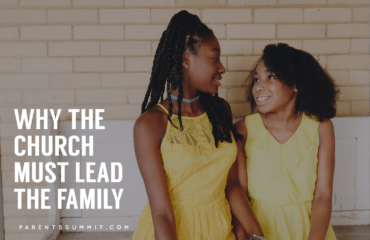 There has never been a richer time of family and parenting resources – from podcasts and books to family curriculums, small group studies, tools, games, technology, and devotionals. The breadth of available resources is overwhelming. A resourced parent has access to a wide range of available tools and opportunities. She is reading and growing while also implementing some cutting-edge family resources. 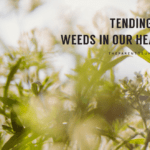 Ideally, some of these resources are chosen specifically for her family, while other resources are implemented across the church, by the church. A resourced family is wisely balancing in-home discipleship with tools, books, and trends. In truth, many churches excel at resourcing parents while struggling to equip parents. Most Sunday School curriculums come with ‘take-home family resources,’ and pastors are quick to recommend books, podcasts, and blogs to parents. The church library might have subscriptions to parenting magazines. Facebook and Instagram are littered with cool, trendy and interesting looking tools, which friends share eagerly. But if a parent hasn’t been equipped to navigate the task of parenting, what will be the result of this heavy resourcing? Unfortunately, it’s often confusion, disillusionment, frustration and, in the worst instances, a strong sense of failure. Parents don’t need more resources – they need to be equipped to use those resources! Many parents don’t know how to disciple their children – they don’t know what it looks like to lead their family or adjust and respond to cultural changes. 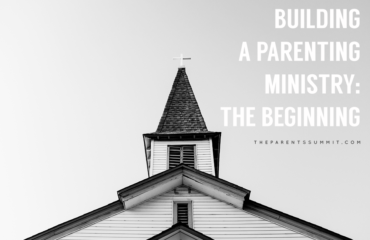 When this is the case, piling on additional resources might seem like equipping to the church or leadership providing the resources, but to the receiving parent, they’re just being given ‘one more thing,’ to process through. They’re just being more overwhelmed. Quite simply, the best intentions of the local church are making the goal of healthy families even harder to reach. Four years ago, our church made a move to work on balancing our equipping and resourcing. One of the largest changes was replacing our midweek children’s program curriculum from a large, national curriculum (which primarily resourced parents) with a curriculum we would write and which would focus on equipping. I vividly remember a conversation I had with a parent after our initial introduction of the curriculum. With tears in her eyes, she looked at me and said, “Dave, I never had Christian parents. I’ve desperately wanted to teach my son how to follow Jesus, but until now, I haven’t known how.” It was a stunning affirmation that our churches need to be active in equipping, not simply more resourcing. The Parent’s Summit serves as a cornerstone piece in our local commitment to equip parents. It is not the whole puzzle, but it is a piece. 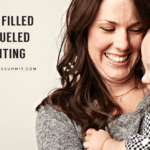 It is a deliberate piece which says, “We want to be involved in the equipping of local parents.” If you would like to make that statement, consider simulcasting the Parent’s Summit this February.